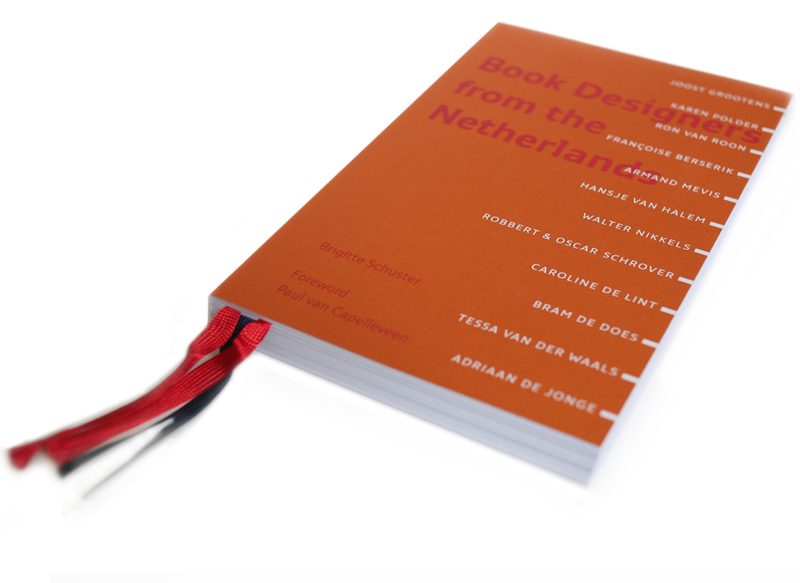 Between 2010 and 2013, Schuster interviewed thirteen prominent, contemporary book designers from the Netherlands. The interviews provide a fascinating look into the worlds of book designers who belong to different generations, and whose work has been shaped by different experiences and career choices. 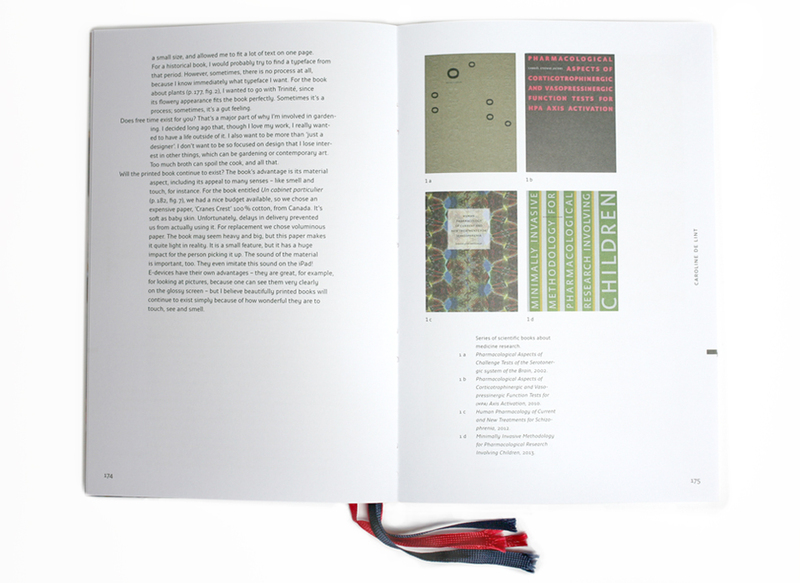 What emerges is an intimate look into the book designing process and the designers themselves. 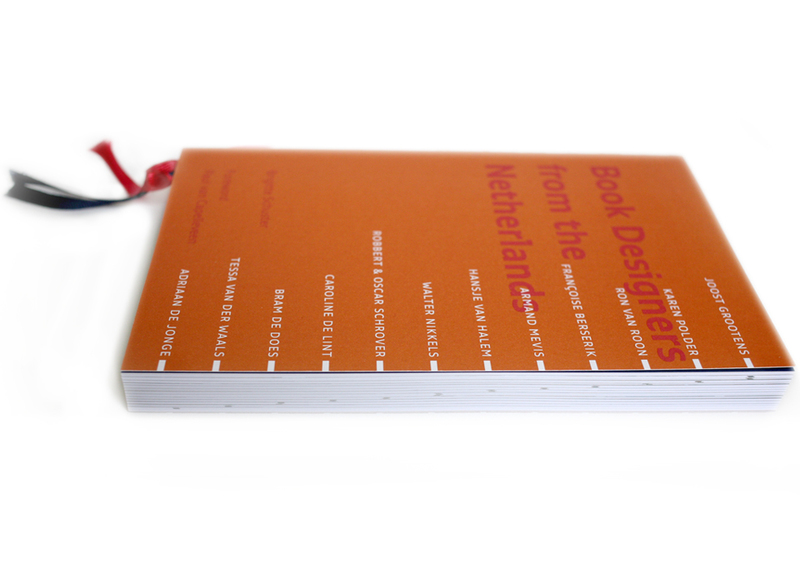 Schuster uncovers the methodology of each designer, from detail-oriented typographers, to those who prefer a more concept-oriented approach; and from the designers who have used the book as a platform to present their own visions, to others who see themselves as craftspeople, lending their skills and artistry to other artists’ voices. 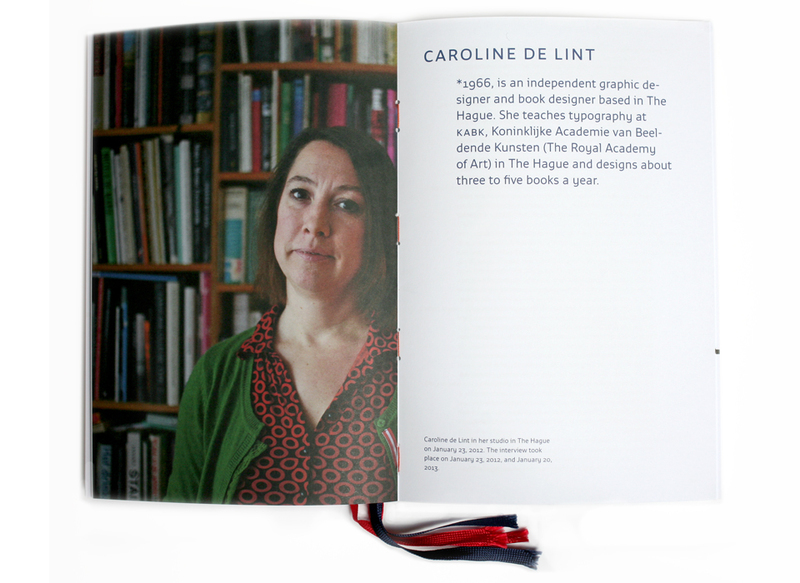 All in all, the book – which is aimed at designers and book-lovers – provides a good insight into today’s Dutch book design scene. 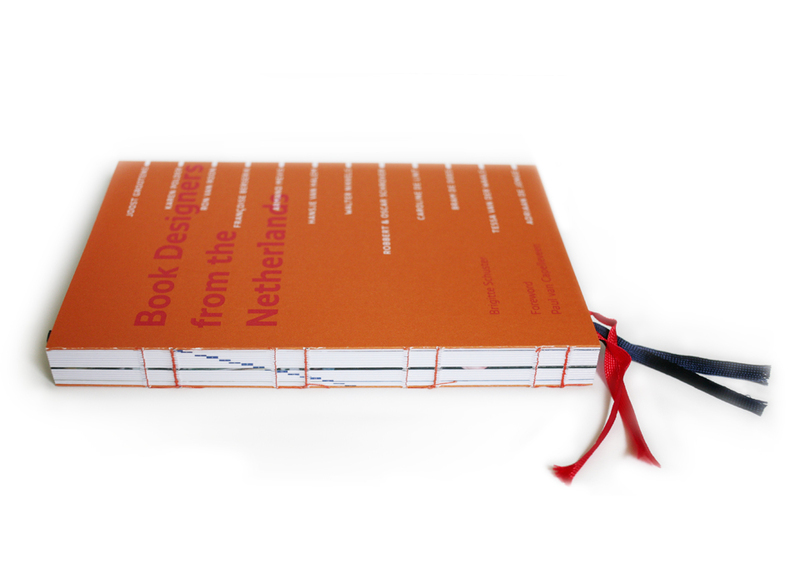 In addition to the textual interviews and a foreword by Paul van Capelleveen, Curator at the Department of Collections at Koninklijke Bibliotheek, National Library of the Netherlands, the book contains a wealth of coloured illustrations of the designers and their work, many of which have never yet been reproduced. Interviews: Joost Grootens, Karen Polder, Ron van Roon, Françoise Berserik, Armand Mevis, Hansje van Halem, Walter Nikkels, Robbert & Oscar Schrover, Caroline de Lint, Bram de Does, Tessa van der Waals, Adriaan de Jonge. Book launch at Bijzondere Collecties in Amsterdam. May 09, 2014. TYPO Berlin Blog. Aleksandra Samulenkova, LucasFonts. May 17, 2014. Typo Berlin 2014. Slanted blog. Leon Howahr. May 16, 2014.
cadoc.nl. Peter Koopman. June 09, 2014.
moorsmagazine.com. Holly Moors. June 09, 2014. Please fill out the 'Order form' below.